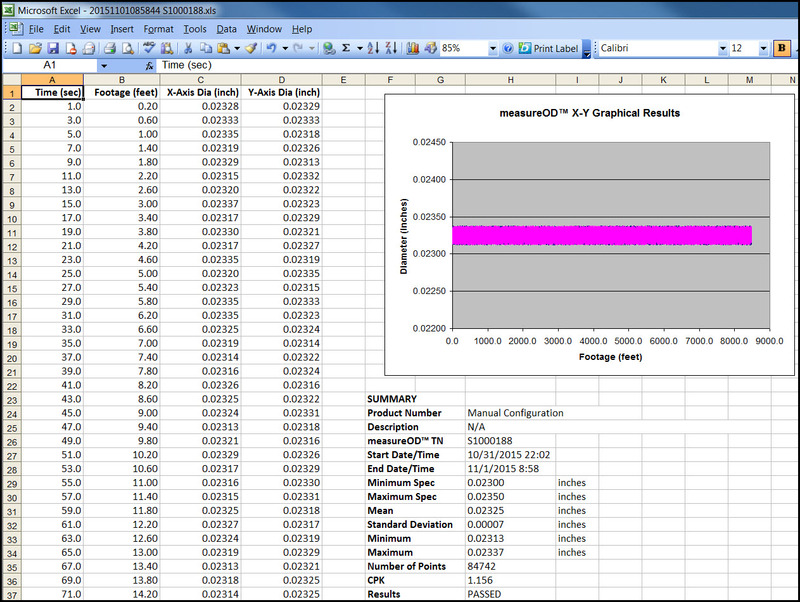 The MeasureOD® System seamlessly exports to Microsoft Excel your Laser Micrometer measurement readings. The exported data includes the actual measurement data as a function of time and estimated manufactured footage. 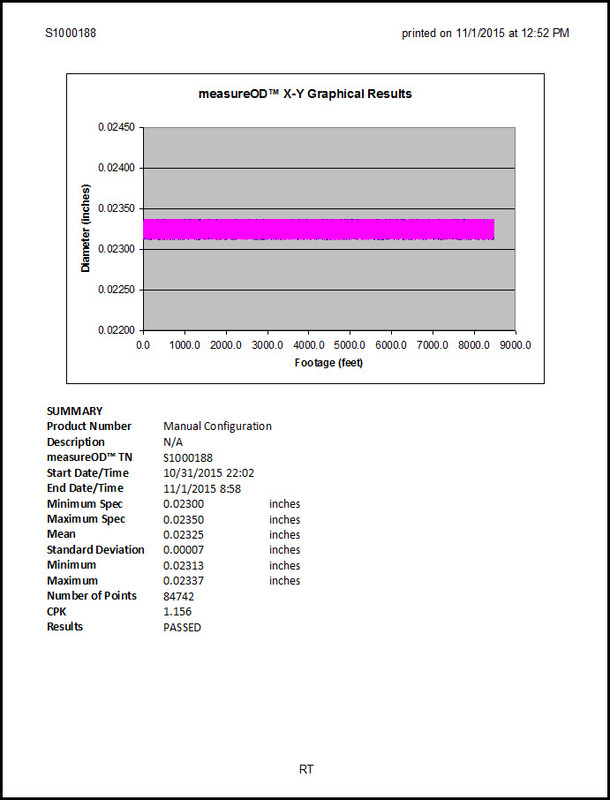 The measureOD® System automatically generates a one page summary of the statistical results including an OD vs. spool footage plot that can be used as part of your lot history record for the manufactured lot.